A new song has come into the world, a song that reveals God’s salvation come for all the nations, his glory made known throughout the earth. It is the sound of good news, of the coming of Christ. It is the song of the gospel, captured in three words: The Lord reigns. When this new song is sung, the world can no longer remain as it was, for the coming of the King changes everything. In the coming of Christ, the world is set on a firm foundation, for he has disarmed the “principalities and powers,” the unjust authority and systemic evil that lies behind kings and cultures. Their power has been broken by the way of the cross and the life of the resurrection so that no one is obliged to honor them — we are free to live out this new life we have in Christ. For he has come to judge the earth, to heal, to cast out the demonic, to put things right, to make all things new. When he appears, we shall be like him, for we shall see him as he is in his glory. This is truly a cause for jubilation, not only for the nations but for the whole universe — cosmic celebration! Our English translations do not capture very well the wild exuberance of joy indicated in the Hebrew text: Let the heavens be lighthearted and merry. Let the earth spin for joy. Let the sea and everything in it roar with delight. Let the fields and everything in them jump for joy. Let all the trees of the forest let out with high-pitched shouts of joy. Creation itself is waiting for the full manifestation of our redemption in Christ. Even now, this new song is being sung, and has been since the first Christmas. 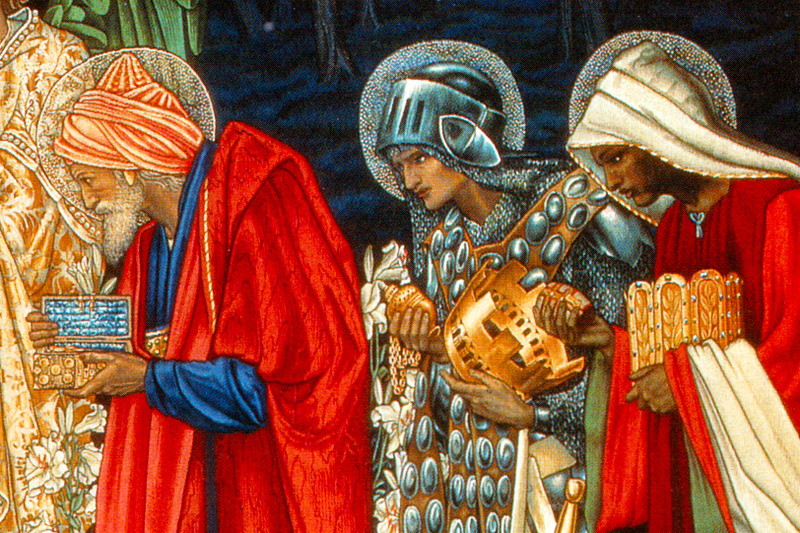 In the season of Advent, we tune our hearts again to its sound that we may sing it afresh. Joy to the World is a song for every season but has been especially celebrated at Christmas. Here is my arrangement, from my Christmas album, He Come from the Glory.